We would like to thank the following companies for offering their products and services for free. Attendees from 2016 really enjoyed having Jerky's Gourmet, the Meatmen and Nibble Chocolate at the Quintessential Festival and was great having them back this year. We also have a few additions to the garden that we're excited about too. The La Jolla Cookie Lady specializes in baking homemade goodies. The Cookie Lady's baked goods have been known to sway even the most stringent of Atkins adherents . We make cookies, cupcakes, gourmet bars, cakes... that people drive miles to nab. Our brownies and lemon bars have been known to induce uncontrollable cravings. Check them out at the Quintessential Festival. That macaroon was insanely good! Jerky’s Gourmet of San Diego has created a high-quality grass fed beef jerky made from solid strips of steak. With a taste and texture that is this fresh, it is no wonder the beef is sourced from cows that live well on a GMO-free, grass fed diet. These flavorful strips of jerky provide the perfect low fat, high in protein snack that comes packed into a resealable bag. Did I mention their products are gluten free and soy free too? The Meatmen San Diego creates amazing sausages and salamis that are hand-crafted in small batches, without the use of nitrates, antibiotics, or growth hormones. From the first bite, you will taste the time and craftsmanship that goes into producing uniquely delicious salami and sausages. Nibble Chocolate is handcrafted in small batches from single origin cocoa beans with only two ingredients. Come taste this amazing organic chocolate, made right here in Sorrento Valley (San Diego) by David & Sandra. When you look at the wonderful wineries we have lined up include half a dozen from the Guadalupe Valley region of Baja California the cheese from Simply Cheddar will be simply marvelous. 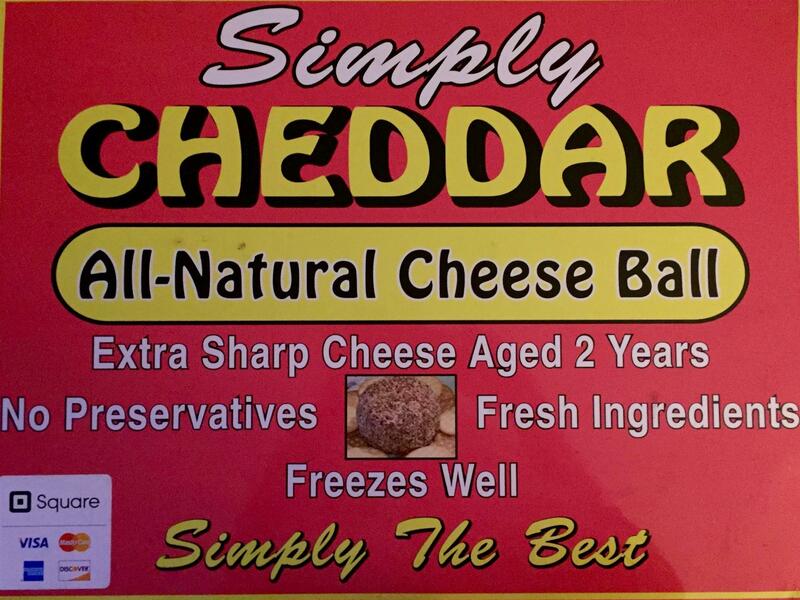 The cheese ball was terrific!